3.6 out of 5 based on 32 bloggers and 1 commenters. 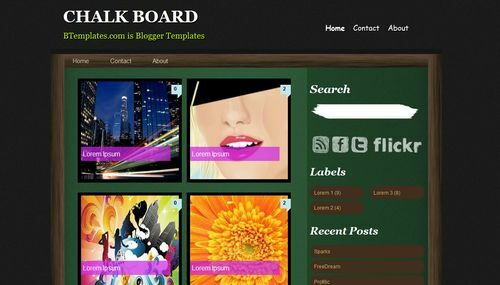 Chalk Board is a free blogger template with 3 columns, right sidebar, gallery-styled, rounded corners, grunge style and posts thumbnails. I’m doing a blog for the school where I work. I really liked this model and decided to change the appearance of the school blog. The previous model featured a photo slide shows, and a different configuration. After I put this model, images and text of the postings do not appear more! Please can someone help me? I really want to use this model, do not want to return to the last! Thank you.